Why Hansen Plumbing & Heating? Hansen Plumbing & Heating is a Calgary-based company serving Calgary and area for nearly forty years. Hansen’s professional and experienced service speaks for itself, but this isn’t just them blowing their own horn. Take a look at what Hansen’s satisfied customers have to say on their A+ BBB Rating, Google Reviews, and HomeStars Page. 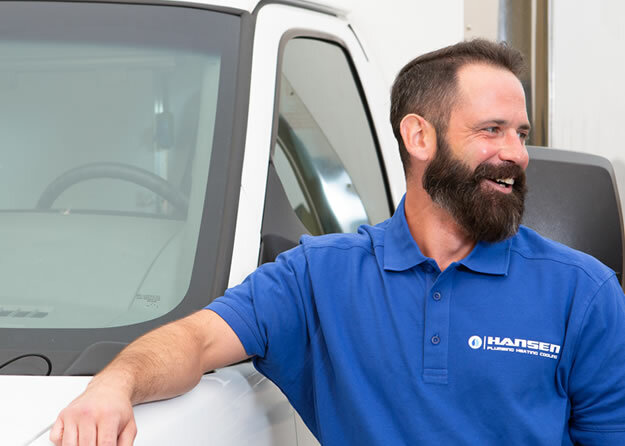 Hansen understands that repeat business comes from quality service, this is why they strive for the best in all residential Plumbing, Heating, and Cooling needs. 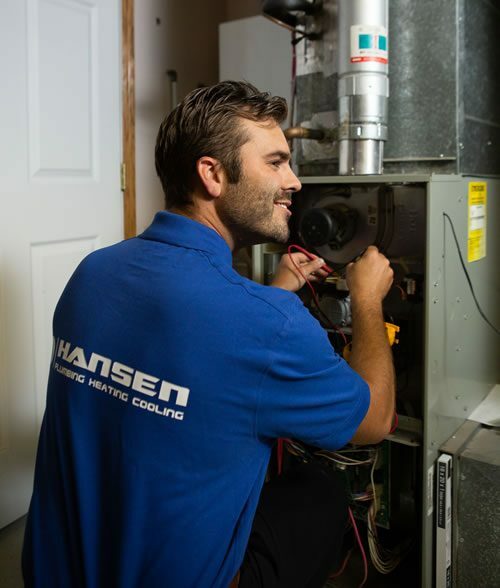 For decades Calgarians have trusted Hansen to bring quality plumbing, heating, and cooling solutions to their homes. Started by Kent Hansen in 1979, their humble roots begin in a Marlborough garage where one man had a dream of making money on his own during a recession. Kent knew the best way to start a business in Calgary was with two core ingredients, honesty and integrity. These business values carry on today through Kent’s son, the second-generation owner Ryan Hansen. Ryan has continued to represent Hansen Plumbing as an industry leader by living up to his dad’s work ethic. Ryan knows Hansen cannot uphold these strong morals and standards without the right people. Therefore, Hansen Plumbing has real people answer when you call, and a team built of tried-and-true industry professionals. With excellent customer service comes repeat business, and Calgarians know good service when they see it. 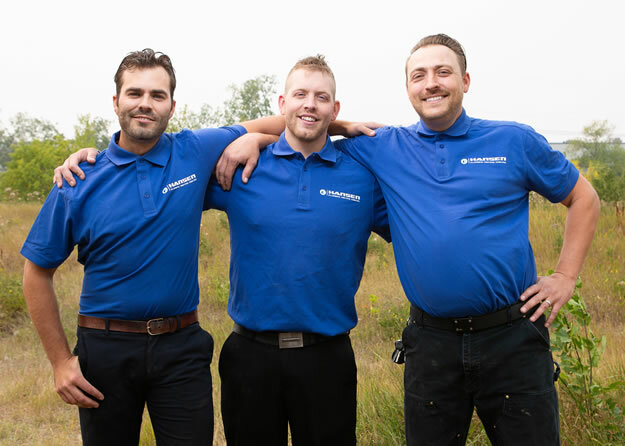 This is why Hansen Plumbing has not only survived multiple recessions but grown beyond them, proving to Calgarians that their homes are in trusted, experienced hands. Team members are licensed, experienced, and professionally trained. Not only does Hansen perform employee background checks, they also meet on a regular basis to improve skills and knowledge covering industry techniques. The Hansen team treats your home with respect, always leaving it cleaner when leaving than when arriving. Floors and walls are guarded against stains and scrapes with due diligence and experience. Pricing is set in advance with a no–obligation quote, and financing is available when needed. The Hansen team is happy to answer any questions until you feel 100% confident. Ryan Hansen is a proud husband to Samantha Hansen and together they have two boys. Samantha and Ryan work to build a better future for their boys and for the city they live in and love, Calgary. The Hansen family and company gives back to the community by being environmentally conscious and treating customers with respect by only charging for what is absolutely necessary on a job. 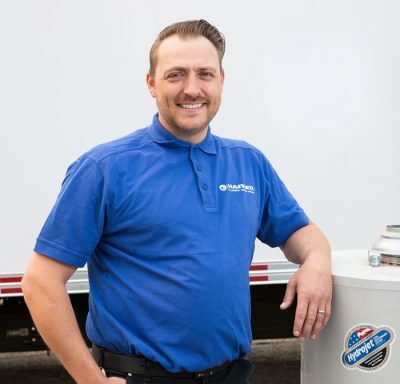 Not only will Hansen Plumbing treat customers fair, but the team takes time to answer questions and educate, taking their services one step further that customers appreciate. Ryan noticed one of the biggest problems on the job was the lack of customer knowledge with respect to plumbing, heating, and cooling. This includes everything from services to equipment and selecting a supplier. 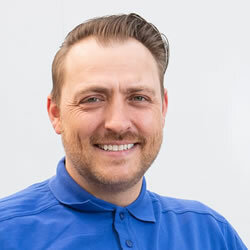 Ryan and his team strive to educate customers so their services are not needed for as long as possible. From boiler and hot water heating maintenance tips to sewers and drainage system up-keep, the Hansen team will be sure you know how to maintain your home equipment to avoid major issues in the future. Please call 403-248-2996 anytime with emergency requests. The plumbers at Hansen Plumbing & Heating are on call ready to respond to the following residential home repairs and improvements. If you have a renovation project in mind, contact us to discuss the details and get a quote. My father started this business to grow and nurture healthy business relationships and I grew up learning his values of fair and honest treatment of people. The clients my father used to work with, I now provide service to, as well as their children and relatives. Our business is built on good family values and we continue to carry on the traditions my father established. Need help with your residential home plumbing, heating or cooling? Working on a larger project that may require professional assistance, like a bathroom renovation? We can help!